Are 3D printers capable of self replicating? Is the end of the world near? Sort of and no! This project will explore the capability of Dr. D-Flo's M2 Makergear to reproduce. Tracks, platform and structure will all be 3D printed. What resolution can this 3D printed 3D printer achieve? Explore the project to find out! Dr. D-Flo is designing a large format 3D food printer. This project will explore a 3D printable syringe pump and how to control power hungry stepper motors from RAMPs in order to extrude tasty frosting. Did you know that electronics work while submerged in epoxy? The epoxy clock by Elise is quick and easy project (minus the drying times). 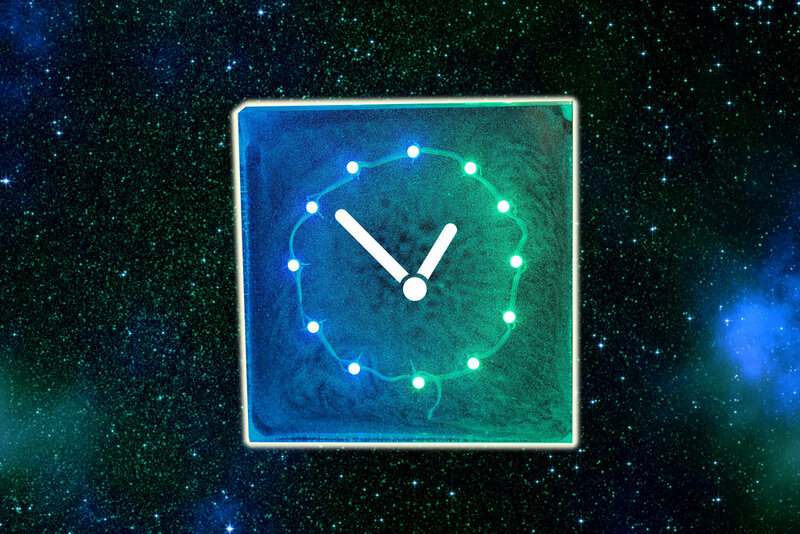 12 addressable LEDs keep track of the hour and 5 minute intervals. This is one of the only projects on Dr. D-Flo's website that does not require expensive tools.